Hints of what's coming next for Skyrim may be buried in the latest patch for Bethesda's hit action/RPG. 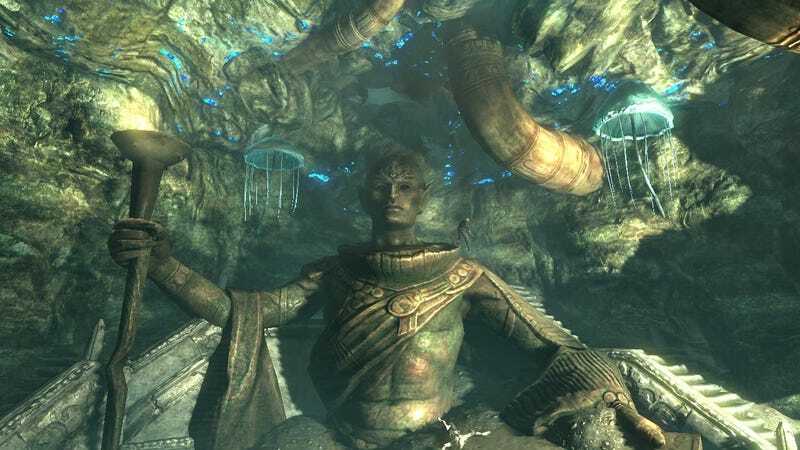 In the lore of The Elder Scrolls V, the Snow Elves have been driven underground by the Nords. But the in-game legends about the mystical race make it sound like they're former badasses who've been laid low and are ripe for revenge. Bethesda's already on record as saying that DLC for Skyrim will be rolling out in the style of expansion packs and these files certainly make it seem like that plan will be going into effect.